In terms of seasons, the period spanning the transition from summer to winter had the weakest credentials of all, and so it got lexicalized last. 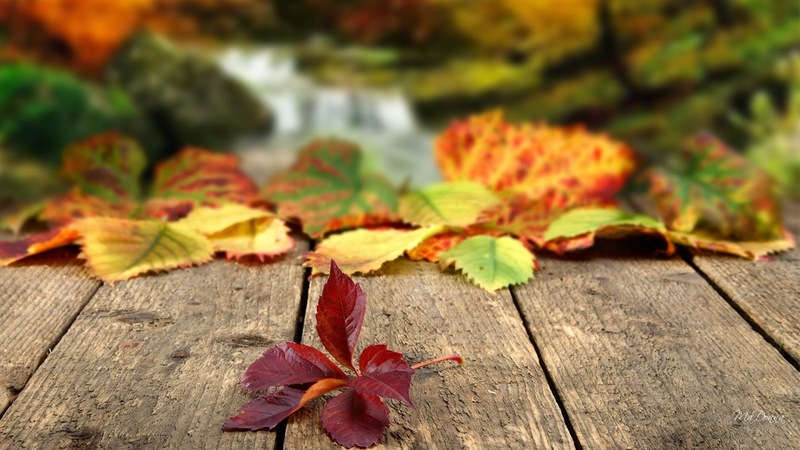 "Autumn," a Latin word, first appears in English in the late 14th century, and gradually gained on "harvest." In the 17th century, "fall" came into use, almost certainly as a poetic complement to "spring," and it competed with the other terms. Finally, in the 18th century, "harvest" had lost its seasonal meaning altogether, and "fall" and "autumn" emerged as the two accepted names for the third season. But by the 19th century, "fall" had become an "Americanism": a word primarily used in the United States and one that was frowned upon by British lexicographers. The persistence of two terms for the third season in the United States, while somewhat of a mystery, may have something to do with the spread of English to the American continent at the very epoch when "fall" began jockeying for position with "autumn": the 17th century. At that time, both terms were adopted stateside, and the younger, more poetic "fall" gained the upper hand. Back in Britain, however, "autumn" won out. The continued acceptance of "autumn" in the United States may reflect the influence, or at least the proximity, of English culture and literature.